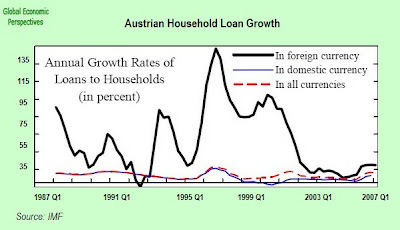 With all the fuss about the Japanese carry trade in recent months (and don't miss this latest piece on the Japanese housewife angle from Claus Vistesen), another important piece in this global puzzle seems to be escaping notice: the Swiss connection. 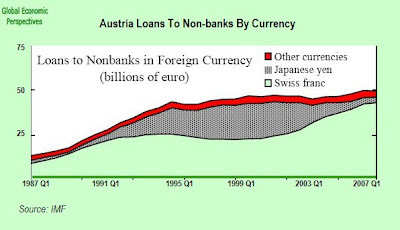 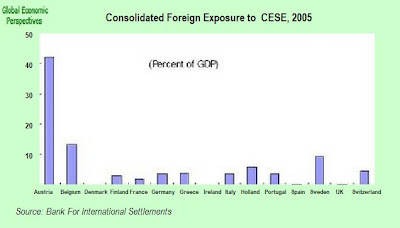 Like Japan, Switzerland is a country which has aged fairly rapidly in recent years (median age now around 40.5), has a balance of payments surplus, relatively flat internal demand, low inflation (currently around 0.8%), and consequently comparatively low interest rates (now at 2.5% since they have been rising recently). 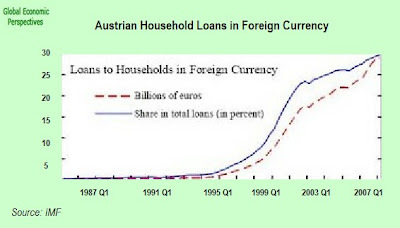 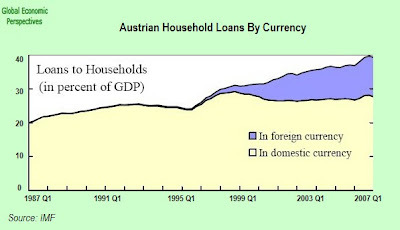 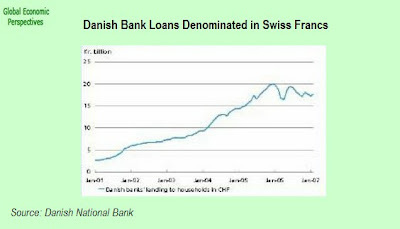 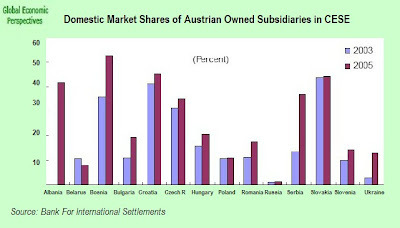 The result of all of this has been a growing tendency in parts of Central and Eastern Europe to contract loans denominated in Swiss Francs.